When the drilling gets tough, BIG-FOOT® gets tougher! BIG-FOOT® Polymer Slurry has earned the trust of foundation drillers with its consistent, superior performance and ease-of-use in any soil condition. When the drilling gets tough, BIG-FOOT gets tougher. 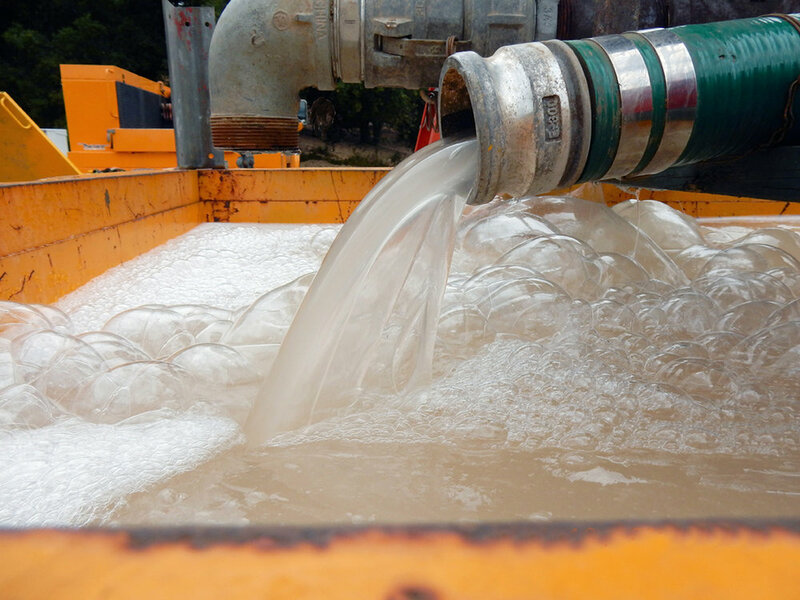 A drilling superintendent from a large foundation drilling company relays the positive experience he had working with the product, “ BIG-FOOT slurry keeps me and my men safe. We know that BIG-FOOT will hold the hole open so that we can make production. We work hard in this business and when we find a product that is dependable we stick with it”. On the jobsite, a drilling foreman also shares how they became believers in BIG-FOOT, “It used to be when we were drilling large diameter shafts in gravels and sand with a high water table under slurry, we had to fight the loss of fluid and take shifts all night on the jobsite keeping the level of slurry up so the hole didn’t collaspe. Now we go back to the hotel and get a good night sleep so we work better in the morning”. The rumors are true, BIG-FOOT really is that good. Contact MATRIX to see BIG-FOOT at your next project. MATRIX Construction Products, LLC (MATRIX) provides high quality polymer and bentonite products and additives to the construction drilling industries. Our products, technical service and equipment are used in a wide variety of applications for contractors in the construction of deep earth excavations such as foundation drilled shafts, diaphragm slurry walls, tunneling, soil mixing and micropiles. Our products and technology also extend to other heavy civil construction industries. The information presented on this website is believed to be accurate and reliable. MATRIX accepts no responsibility for the results obtained through application of this information. MATRIX reserves the right to update information without notice.